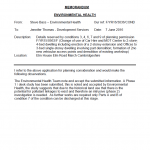 Given the potential for the previous uses of the site to have impacted on site soils a contaminated land planning condition was attached to the decision notice for the proposed development. 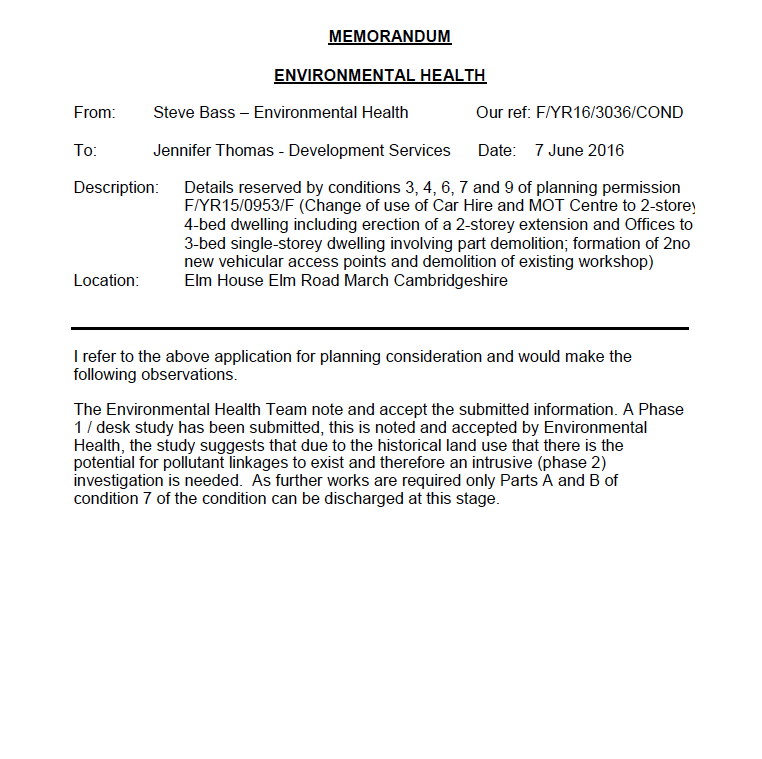 The first stage of discharging the condition was to prepare a desk study report to determine what may have impacted the site and proposals for any further works. The history of the site was reviewed using historical Ordnance Survey maps, aerial plates and street level imagery., which revealed the site formed part of Vinegar Field Farm and then Sunnyside. Form 1969 the site formed part of a nursery. Data provided by Groundsure identified a tank on the southern boundary of the site. The sensitivity to the underlying groundwater was assessed using geological maps and data provided by the Environment Agency, which were determined to be of low sensitivity. 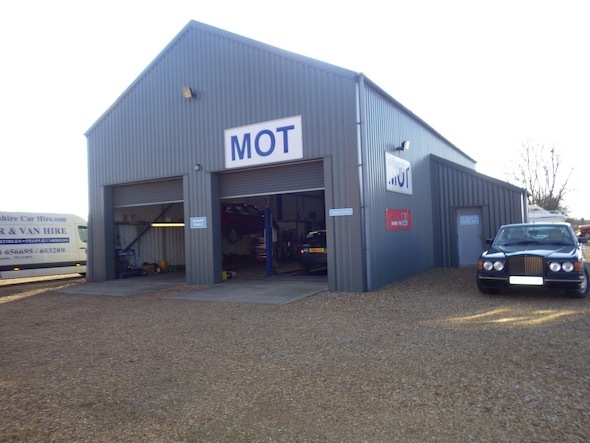 On completion of the desk based assessment a site reconnaissance visit was undertaken, which identified five building on the site, included a dwelling, office and MOT test station. Two tanks ere identified on the site as well as a number of drums containing engine oil. 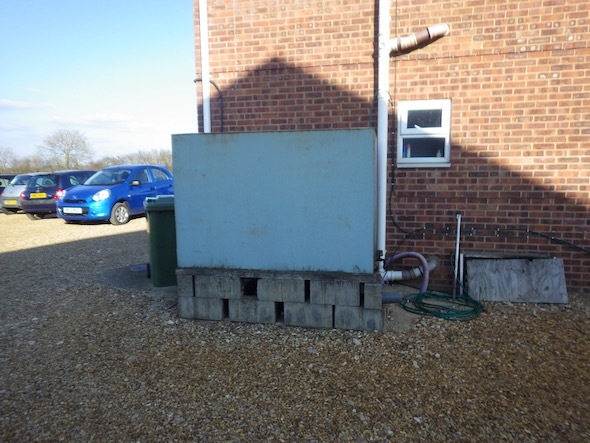 A qualitative risk assessment was undertaken and it was determined that due to the previous uses of the site further intrusive works are required to determine if the site is suitable for use. The desk study report was submitted with F/YR16/3036/COND and was accepted.